How things have changed… yet they have remained the same. This entry was posted in other on May 30, 2014 by twinlossnz. With all the rush and hustle behind us, on a quiet summer holiday afternoon, I picked it up and started to read. Dorothy Foltz-Gray began writing eighteen years after her twin sister was murdered and it was thirteen years in the making. I read all of it that afternoon because I just couldn’t put it down. In With or Without Her, Dorothy shares the inspiring story of the lives she and Deane built together, and the struggle to rebuild her life without Deane. She tells the story with the tenderness of a poet and the insight of a journalist. Two humans born from the same fertilised egg, alike in every way: identical twins are a fascination. Two people bound to one another by appearance and matching DNA. The relationship is deep, powerful and complex. Dorothy and her sister Deane were identical twins and soul mates. Though they struggled to be both best friends and separate individuals, they were intimate, bonded for 32 years by their similarities. Loss of a parent, a sibling or a child is always difficult, but with Deane’s murder, Dorothy lost part of herself, her other half. She found herself struggling to live without the person who had always been her second self. I enjoyed the way Dorothy weaved her way through her life backwards and forwards from her childhood, back to the dark days as her sister died, backwards and forwards and then onwards into the future where she discovers herself and her twin again. I know my friends who have lost their twin will find this book moving and in it you will read your own story too. Thank you Dorothy for reaching inside yourself and writing this despite the pain of having to go back into the traumatic past to show us the way to outlast grief, to wade beyond it to be still a twin, with or without her. This entry was posted in books on the loss of twins on January 10, 2013 by twinlossnz. It is always exciting to hear when someone writes a new book about their experience of the loss of a twin. Mary R. Morgan’s book came out in May this year and when my copy arrived in my mailbox I could not wait to find the time and space to settle down and read her account of the loss of her twin brother Michael. Michael had mysteriously disappeared off the coast of southern New Guinea some 50 years earlier and Mary has written the story of her journey through this loss in the subsequent years. I knew it would be the kind of book that once you opened it, you would not want to put it down again until the very last page. I was not wrong! I started reading one afternoon, I was early to pick up the kids from school and I got a good way into it but I knew I should have waited until I had more time. The next time I opened it up I read until the end. This is a story of loss, the long denial of the loss of a twin, the acknowledgement of his death, the allowing of him to be free, and then finally, the discovery that he had always been part of her journey in the end. It is an honest account of what this twinship and loss had meant in Mary’s life and how it had played out throughout it in the relationships around her. It is the story of the slow process of putting back together, of re-discovery and of building a new relationship with a twin brother. I believe this book will help those who have experienced the loss of their twin most especially but it is for anyone who has been shattered by deep personal grief, those for whom their experience has been unacknowledged or misunderstood and it will help in the journey of putting oneself back together. 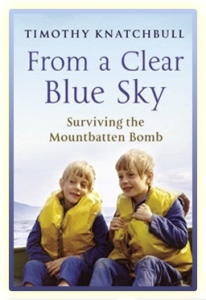 This entry was posted in books on the loss of twins on June 5, 2012 by twinlossnz. I first read an account of the loss of Timothy’s twin brother Nicholas many years back when I first started this group. It came in an envelope sent to me full of copies of old newspaper articles and other interesting twin loss information that had been collected together. Timothy had done an interview for a newspaper in England back in 1989 to coincide with the first meeting of a group of surviving twins which would become The Lone Twin Network which still exists today. I was fascinated and touched by his story of losing his twin. He and a family group were on board the Shadow V which was blown up by the IRA in August of 1979 killing his grandfather Lord Mountbatten, his grandmother, a young boy helping on the boat that day and significantly, his own twin Nicholas. His parents and himself were left badly injured. This was the first account I had read of someone who had lost his twin after spending their early years together. It gave me a beautiful picture of their life together as twins before that fateful day. Until then I only had known the experience of loss around the time of birth. In this book, Timothy himself had a similar experience when he met another lone twin for the first time (who in the end became his best and closest friend). David had lost his twin a little later in life and shared, to Timothy’s fascination, about how their lives had gone on to become more separate due to their changing lives and that intrigued Timothy who had only known twinhood to be two lives lived in parallel. He had never spent more than a few days apart from Nicky in his whole life. He wondered what would have it been like had they been able to carry on into this phase of life until them.The article was written some 10 years after the tragedy and as I read the book, it was clearly only the early days of recovering from this loss. The setting was in Ireland, a place that the family loved and enjoyed for holidays year after year but after the bombing, most of the family found the idea of returning so very hard. Timothy on the other hand felt that one day, he would have to come back and find peace and healing there and so this book traces the history leading to the event and then the 25 years following when Timothy began to piece his life together without his twin Nicholas. Timothy had been badly injured and was not aware of Nicholas’s death until three days after the accident. He had not been able to attend the funeral in England and he had never said goodbye to Nicky in the way he would have liked. To go back to Ireland and explore the places and the people and relive in a way such a painful event, brought amazing healing to Timothy. I found this book to be one of the most powerful and touching twin loss accounts I have ever read and would be helpful to anyone on a grief journey to understand how in the most tragic loss one can discover healing and how one man managed this. Timothy writes: I finished my paperwork and walked into the bathroom. I was squeezing toothpaste onto my brush when I looked into the mirror and saw my face for the first time since seeing Nicky’s in the photographs. We were still identical and I broke down utterly. It was exactly the release I needed. If my own children ever suffer bereavement when still young, I will urge them, once they are ready, actively to mourn. If it is what they want, I will encourage them to grapple with trauma in close up and slow motion and from every angle they desire until the box of unresolved grief unlocks for them. This is no prescription for good recovery and for some people it might be the opposite of what they need. 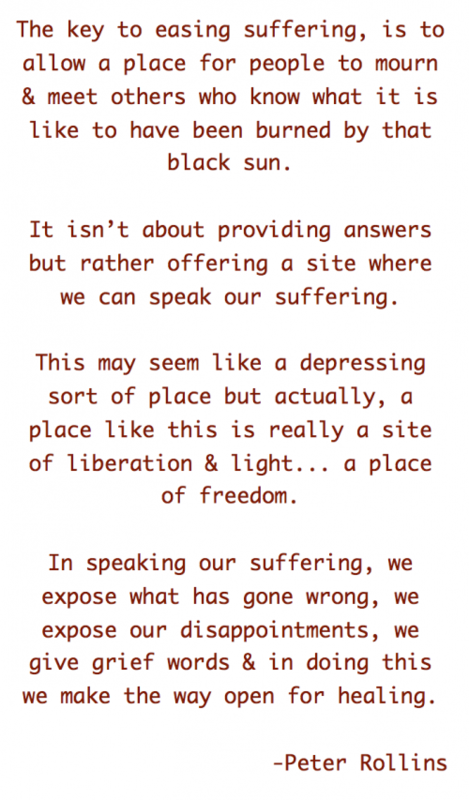 But for me it provided more than therapy, it was liberation. For me, this book was gripping from the very first pages and I was so glad to have found a quiet weekend to read uninterrupted. This entry was posted in books on the loss of twins on April 10, 2012 by twinlossnz. 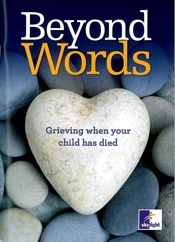 Beyond Words -grieving when your child has died. This entry was posted in other general grief and loss books on March 28, 2012 by twinlossnz. This entry was posted in quotes & poems on March 26, 2012 by twinlossnz. This is an inviting, sensitively written and colourfully illustrated picture book for children 3–7 years old, who have had a baby die in their family/whanāu. The text has been carefully designed to fit a wide range of bereavement situations, including miscarriage, stillbirth, cot death and accidental or natural death of an infant or toddler. It has been designed with the whole family/whanāu in mind and provides a helpful opportunity for parents and caregivers to talk with a young child about this difficult loss. It also features useful notes and information for adults at the back to assist them in supporting their bereaved child. Ali Teo’s illustrations and the text combine very effectively to reflect the multicultural nature of the New Zealand community today. 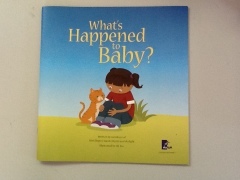 Sands Coromandel are trying to raise funds to get a copy of the book “What Happened to Baby?” into every primary school in New Zealand, as a resource for families who have been affected by the loss of a baby. They need your help. Whether it is by monetary donation, the purchase of a book, or materials to make items to sell. Take a look at their facebook page for more information. They sell the most cute handmade ponies and elephants and even have some “twins” for sale! This entry was posted in other general grief and loss books on March 13, 2012 by twinlossnz. Our Facebook group is a place where bereaved twin loss members can share, comfort and encourage others.